Here at Fit4Mom Lou, we love the awesome facility King Louie's provides for our Stroller Strides and 360 classes. It's spacious. It's clean. It's the perfect hosting site for all kinds of sports activities. But, did you know they are also the area’s premier sporting complex for Lacrosse? 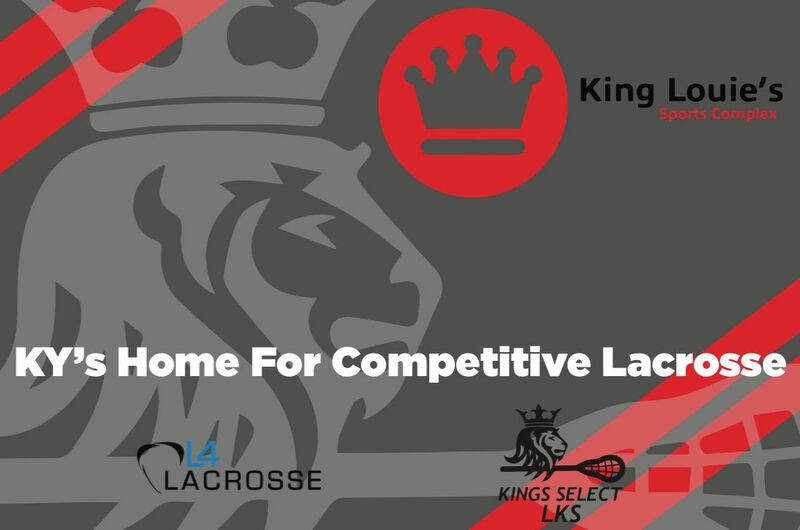 King Louie’s is home to L4 Lacrosse and King’s Select Lacrosse! Curious about these programs? Read on to find out more! L4 Lacrosse aims to provide high quality lacrosse training to athletes that are willing to learn the skills to be successful. Their high energy and experienced staff care about the athlete's development and want to mold them into the best lacrosse players they can be. You can learn more about L4 Lacrosse here. Louisville Kings Select (LKS) provides a team oriented approach to learning the game. Their program mission is to find the best talent by grade and place them into an immersive environment that emphasizes individual and team training to produce players and teams who can compete with the top programs in the Southeast and Midwest. You can learn more about LKS here. Do you know someone with interested in Lacrosse? Be sure to share this post with them so they can find out more about the awesome programs hosted by King Louies! Do you know someone interested in Lacrosse? Be sure to share this post with them so they can find out more about the awesome programs hosted by King Louie’s Sports Complex!